Researchers investigating remains found at Leopard Cave in Namibia have discovered evidence of the earliest known instance of domesticated sheep or goats in southern Africa. The finds, two teeth, are believed to be from domestic sheep, although they were too worn to make a definitive distinction between sheep or goats. Dated to between 2,042 and 2,312 years ago, this makes them the earliest known domesticated animals in sub-Saharan Africa. The results of the research, led by David Pleurdeau of the National Museum of Natural History in Paris and Eugène Marais of the National Museum of Namibia, help add new information to the debate on the origins of animal domestication. 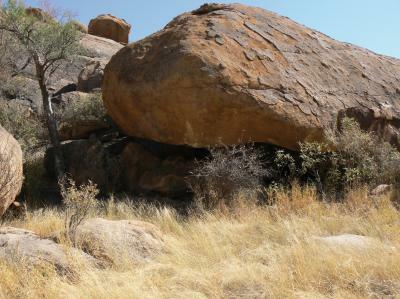 The full article, entitled “Of Sheep and Men”: Earliest Direct Evidence of Caprine Domestication in Southern Africa at Leopard Cave is available in the open journal PLoS ONE.